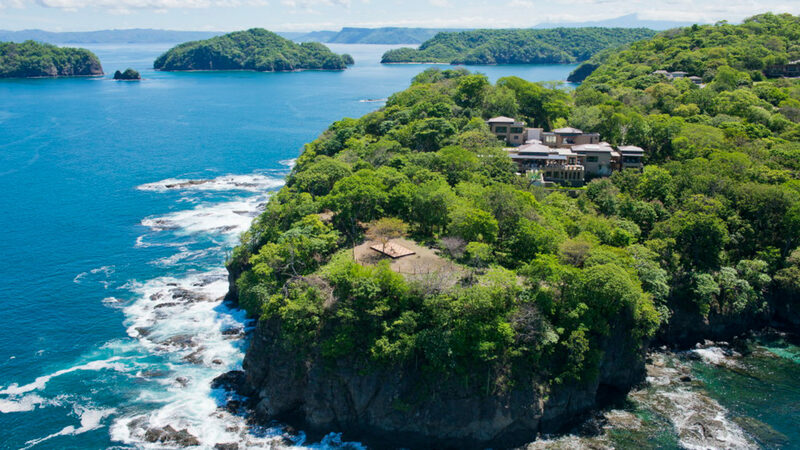 Perched on the cliffs of Costa Rica's Peninsula Papagayo, Villa Manzu, is a soulful 30,000 sq ft. villa estate with eight suites spanning five acres of this secluded haven along the Pacific Coast. 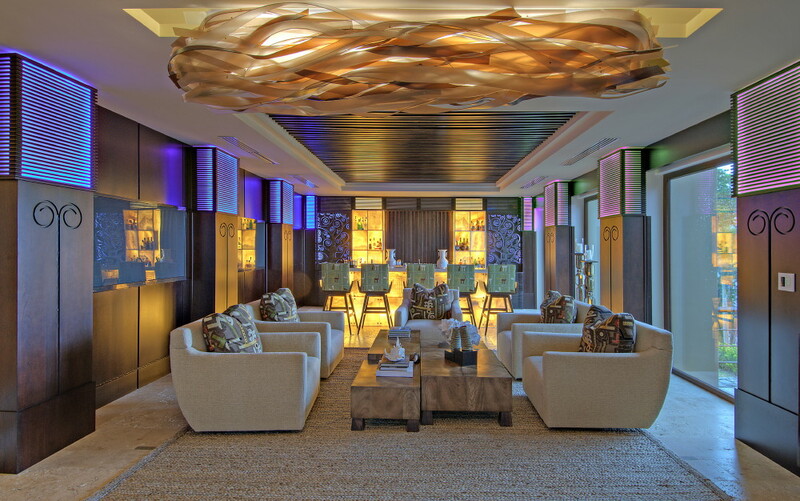 This tailored guest experience comes with a personal chef, dedicated staff and panoramic sea views. Families and groups of friends will enjoy gathering in two swimming pools, a spa, theater room and expansive party and bar room. Adrenaline junkies should make their way to the Villa Manzu “Garage,” which is stocked like a minibar on steroids with surf boards, stand up paddle boards, kayaks, mountain bikes, and golf carts. The Arnold Palmer golf course is just minutes away. As far as lighter frolicking goes, the private grounds present lazy hammocks, a yoga deck and outdoor resting nooks for reading or meditating. There are also Spanish classes and surprise wildlife encounters with howler monkeys. As “manzu” translates to friends in the native language, there is no better place in Central America to celebrate a landmark occasion. One only needs to whisper the words ¡Pura Vida! 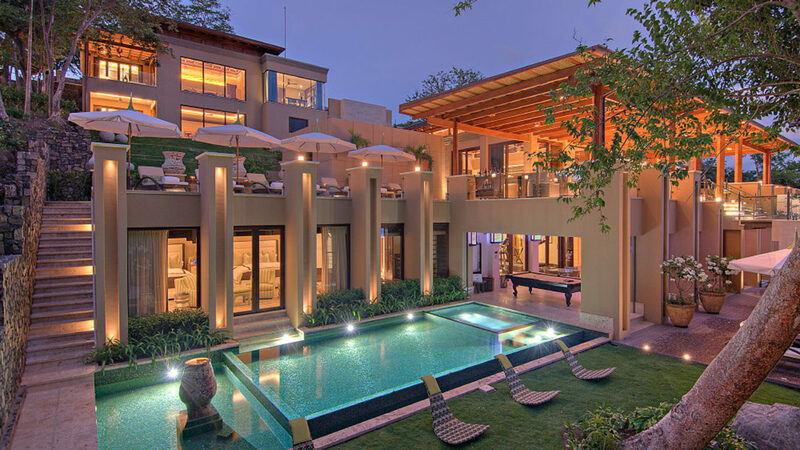 Designed by Costa Rican Architect, Abraham Valenzuel, Villa Manzu’s eight-suites are spaciously designed uniquely with special details of artisanal craftsmanship throughout. 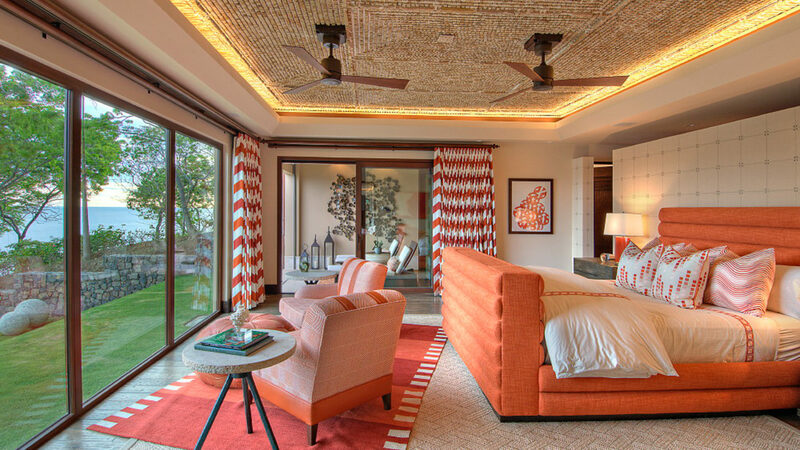 Each of the bedrooms is an oversized suite with mesmerizing direct ocean views all with televisions, mini bar with morning coffee service, walk-in closets and full bathrooms suites. Fifteen beds are allocated as five king bed suites, a double queen bed suite, a double king bed suite, and a custom finished bunk room with four twins and two king beds. 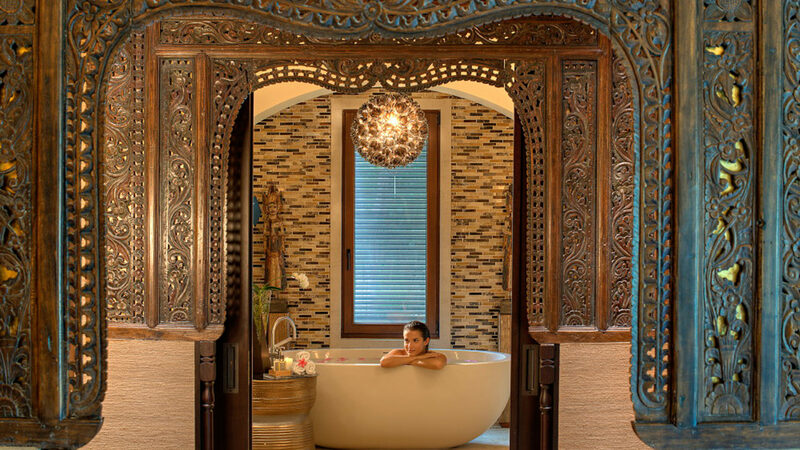 Antica Farmacista bath products are used in each of the villa’s bedrooms, as well as Italian linens and fine English towels. Villa Manzu’s main wing is located in a private section of the villa, accessible by its own entrance, elevator and staircase. 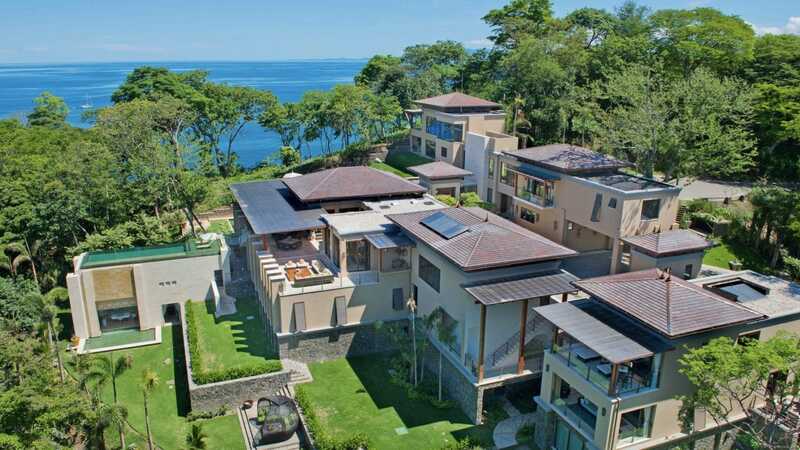 The first master suite, La Lora, and children’s suite, Los Monos, are up one flight of stairs, while the penthouse suite, Pacifico, is by itself on the third floor. 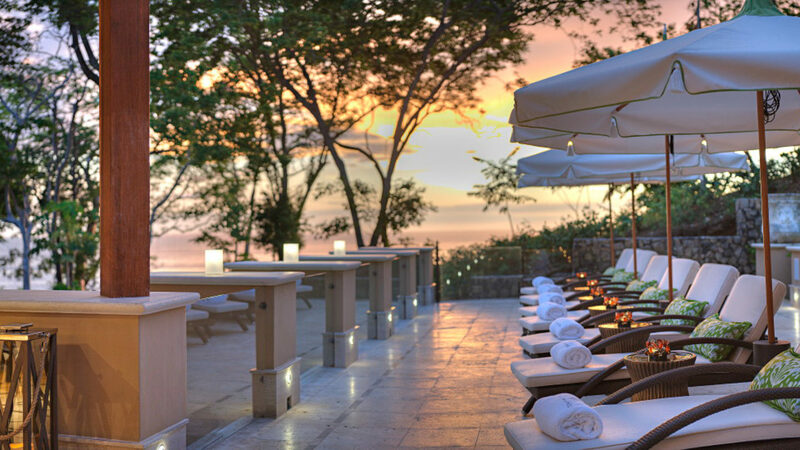 Villa Manzu is located on Costa Rica’s Peninsula Papagayo in the northwest province of Guanacaste along the country’s Pacific Coast.